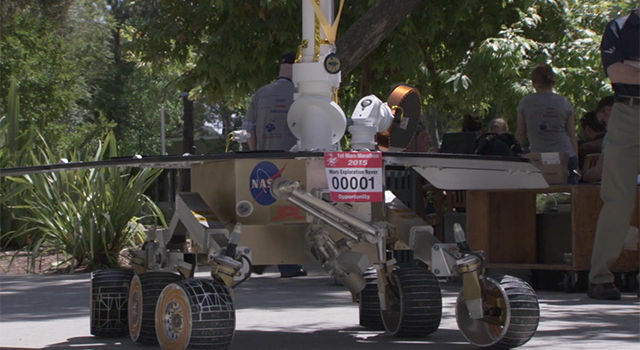 A test rover used during preparations for rover missions on Mars stood in for the NASA Mars rover Opportunity by breaking through the finish-line tape after runners completed a relay marathon at JPL to celebrate Opportunity's Martian marathon. Eight teams of Earthlings took part, with such appropriate names as "Endeavor Crater" and "Eagle Crater", in keeping with milestones and locations in the rover's history on the Red Planet. About 90 employees at NASA's Jet Propulsion Laboratory, Pasadena, California, are running 1.2 mile laps through the laboratory grounds today as part of a marathon-length relay to celebrate the first-ever Martian marathon. NASA's Mars Exploration Rover Opportunity, which landed on Mars in 2004, surpassed a marathon length of Martian driving on March 24. Opportunity's original three-month prime mission in 2004 yielded evidence of environments with liquid water soaking the ground and flowing on planet's surface. As the rover continued to operate far beyond expectations for its lifespan, scientists chose the rim of Endeavour Crater as a long-term destination. 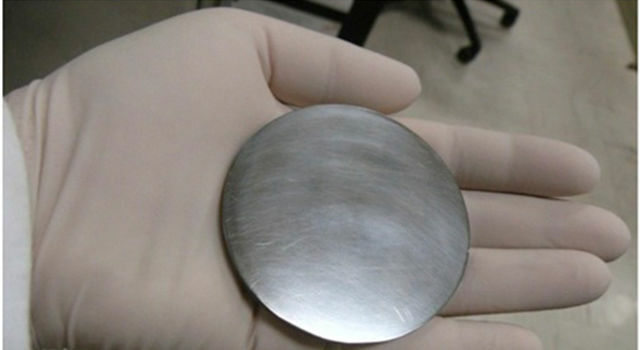 Since 2011, examinations of Endeavour's rim have provided information about ancient wet conditions less acidic, and more favorable for microbial life, than the environment that left clues found earlier in the mission. The Mars Exploration Rover Project, NASA's newer Curiosity Mars rover, and three active NASA Mars orbiters are part of NASA's Mars Exploration Program, which seeks to characterize and understand Mars as a dynamic system, including its present and ancient environments, climate cycles, geology and biological potential. In parallel, NASA is developing the human spaceflight capabilities needed for its journey to Mars.